For the £39 price tag the Howies Dyfi Active Shell does a great job at being an all round cycling jacket. For under £40, this is an unbelievably good cycling jacket for the pice. The ‘ripstop’ material used on the front is tough, thanks in part to its construction – It’s made from recycled bottles! 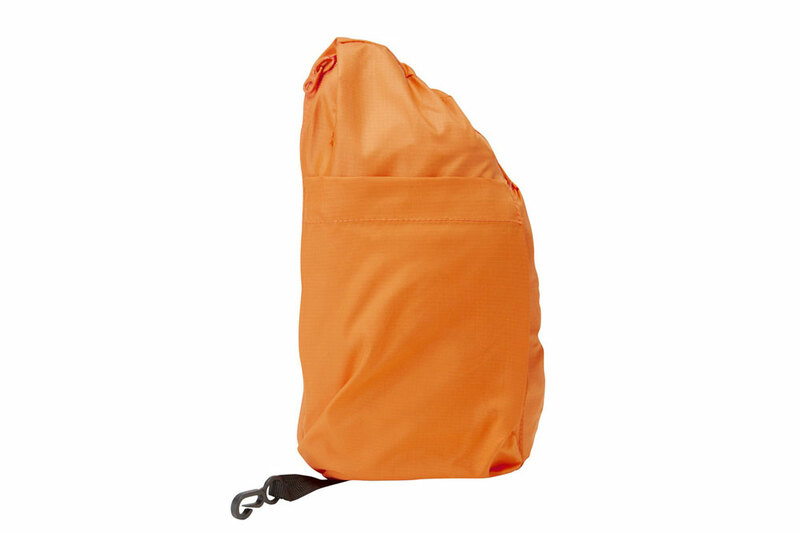 It comes in three colours, a casual black, and both a bright blue and the orange we tested. 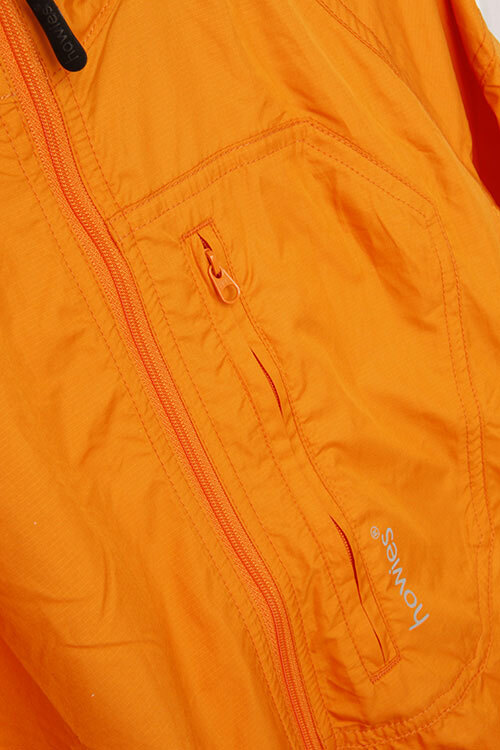 Each colourway has a feel of the outdoors about it, but as a jacket that will often be worn around town, and possibly in traffic, the brighter colours will do well to help you be stay visible. The cut manages to be casual in style but also well fitted leaving minimal material flapping. The drawstring toggles, at the waist and elastic cuffs help achieve that. It’s a jacket you can easily wear in social situations too, making it perfect for the commute, where an unplanned social occasion might see you sitting in your local pub, and not sticking out like a sore thumb. It’s designed for both cycling and running, so the fit walks the line between both. Thankfully both activities benefit from a slim shape, and this is just that. The only thing missing perhaps that would benefit us cyclists is a longer tail at the rear. But as a jacket that is clearly not designed for serious road cycling, we’re not about to criticize. The jacket folds away in to its own front pocket, which is a nice touch, and our only issue is that once packed away you’ll do well to squeeze the jacket in to even the largest jersey pocket. That’s a tiny quibble though, especially considering the price. At twice the money we’d still love this jacket, so for only £39, it’s absolutely fantastic for the price, and we can’t seriously fault it.